The stock market has had some rocky sessions lately, but we should be used to that. 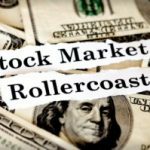 The 21st century has already dished out two major bear markets in stocks, not to mention what has happened to real estate, oil futures, and gold at various times in the 2000s. We are having to learn to live with risk. That is not natural for me. I am not a risk-taker by nature. People who study economic decision-making talk in terms of risk-averse and risk-seeking behaviors; my instinct is almost always to come down on the risk-averse side of the decision. And yet, I’ve learned to live with risk. A substantial part of my net worth is in the stock market, meaning that on a typical day I make or lose far more due to the whims of Wall Street than I earn by working that day. For the most part, I am comfortable with that. What helped was spending over 20 years in the investment-advisory business. Not only did I get to learn from smart, experienced people; but I also got to observe a wide range of behaviors from a large and varied client base. I saw success and failure, angst and cool-headedness. It was like getting to live several investors’ lifetimes in a few short years. Low-ball your assumptions. One reason the 21st century has been so traumatic for investors is that the 1990s really raised expectations. Investing seemed easy and even fun when the stock market was routinely delivering 20- or 30-percent returns. The reality is, returns like that are relatively rare occurrences. The higher the return assumption you build into your retirement planning, the greater the risk that you will be disappointed. Lower assumptions yield less attractive projections, but they also reduce the risk of your coming up short. Don’t count your chickens. Investors know that the stock market goes up and down, and yet psychologically they tend to treat every high-water mark as if it were permanent. This sets them up to be upset if they give back some of that gain the following year. If you have an unexpectedly high investment return, don’t think of it as money in the bank. Think of some of it as a cushion against the next downturn. Broaden your view of risk. If the stock market makes you nervous, consider this: $100, 000 invested in the safety of T-Bills would have produced $11, 390 in income back in 1980 but only $60 in income last year. 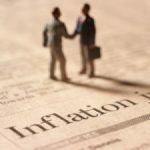 If you had simply kept your money in a fireproof vault, inflation would have cut the value of that money nearly in half over the past 25 years. The point is, there really is no way to avoid financial risk. All you can do, quite frankly, is to choose which form of risk to take. That makes it a little easier to accept the volatility of the stock market. Keep the time frame in perspective. How many people do you know in their 40s and investing for retirement check the stock market results every day, if not multiple times a day? Obsessing over the short-term doesn’t just create unnecessary anxiety, it also distorts your decision-making. Time tends to smooth out most of the market’s fluctuations, so taking the long view will make you both a calmer and a wiser investor. Control what you can control. Careful thought should be given to making investment decisions and monitoring your portfolio, but ultimately you cannot control what the market will do tomorrow, next week, or next year. The factors you can control that will have an important impact on your financial success are how much you put aside for retirement and how much spending you build into your lifestyle. Never make financial decisions in a hurry. Markets move quickly, and this can lure people into a hurry-up offense kind of mentality. That is not conducive to sound, long-term decision-making. Slow down and allow yourself to think things through. You are not trying to capture tomorrow’s market moves; you are trying to make the right decision for the months and years ahead. Recognize that debt leverages risk. The riskiest thing you can do has nothing to do with your investment moves, but in taking on debt — especially debt that is not backed by a tangible asset like a house or a car. Debt ramps up the riskiness of all your other financial decisions. Of course, having written that I have learned to live with risk, it seems almost inevitable that something will come along next week to really shake me up. That’s okay. The truth is there are situations that would make any investor nervous; the key is not to act nervous when it comes to making decisions. I’ve worked for a financial planning firm for a few years. I realized that many people overestimate how much risk they are willing to take. They see the potential gain more than the potential loss. But when the loss becomes a reality, they freak out and want to sell. So my suggestion would be to focus more on the potential loss than the gain. Try to determine if you would really be OK with losing that amount of money while investing.